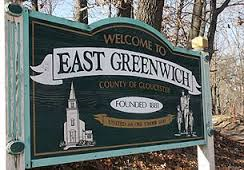 Any resident in the East Greenwich Township, New Jersey area understands how important it is to have a plumbing and heating company that they can trust in time of need. Not only do we take care of these services, we also provide emergency maintenance and drain cleaning as soon as you contact us. Your family and home deserve to be protected by the most dedicated and knowledgeable service technicians in the business. Problems in the pipes, drains, faucets, and fixtures should not be overlooked until there is an obvious problem. Clean running water and proper drainage of waste is an absolute necessity for keeping your family safe and comfortable. Our team is here for all of your maintenance and repairs, no matter how large or small the issue is. Do not grab a blanket if your heat goes out in the middle of the winter, instead grab your phone to give us a call. 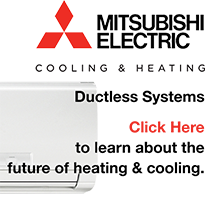 We will diagnose the problem, provide repair or replacement, and offer preventative maintenance plans to ensure the longevity of your heat appliances. Drain Cleaning and Repair Services in East Greenwich Twp., NJ. Materials other than water enter the drainage system on a daily basis and gradually build up until there is an actual clog. Let our technicians come out for regular cleaning that restores the inside of pipes to a like-new condition, before you end up with waste and bacteria backing up into your home. We also take care of emergency clearing so that you do not wait around for hours while your toilet or bathtub drain are flowing in the wrong direction. It seems like a pipe does not burst until it is the middle of the night or right before you leave on a trip away from home. When it comes to a water leak or a loss of heat, it is important to get timely service to your home. We make ourselves available at all hours because we understand that emergencies often seem to happen at the worst possible time. Our goal is to get you back to your daily tasks in an efficient manner as soon as possible. You may not notice how often you rely on a constant supply of hot water until the heater goes out. Let us take care of your next maintenance, repair, or installation so that your family does not have to suffer through a cold shower or rising energy cost from system inefficiency. Call 856-430-8452 to find out about all of our exceptional services that we gladly offer to you. If you’re ready to gain control over the health of your home, fill out our contact form so that we can schedule your maintenance and repair as soon as possible.